Hi all! Today I want to share a project I just finished recently, amongst the craziness of the holidays, learning the ropes of card making and helping Kryssi get ready for our next release. They called me crazy and crazy I was! Over the last few months time, I collaborated with 4 really talented young ladies to knit a textured baby blanket for our Bestie's new baby. Each patch was made with 100% love. We presented her the blanket this past weekend during her baby shower and it brought tears to her eyes. Which of course brought me to tears to see how touched she was. aw!! 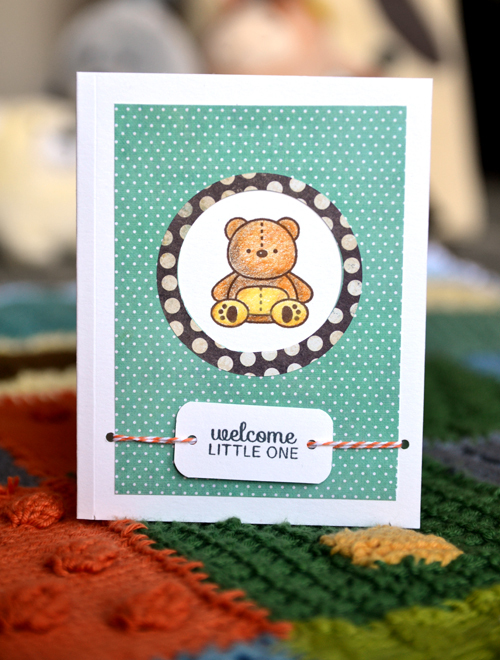 what an adorable baby card!! love how it was colored in with pencils! it makes it feel so much more from the heart! and the blanket is gorgeous!! you can see the love wrapped around each stitch! wow!! wow what a beautiful blanket...no wonder she was so filled with emotion it was truly made with love. i love crochet too! 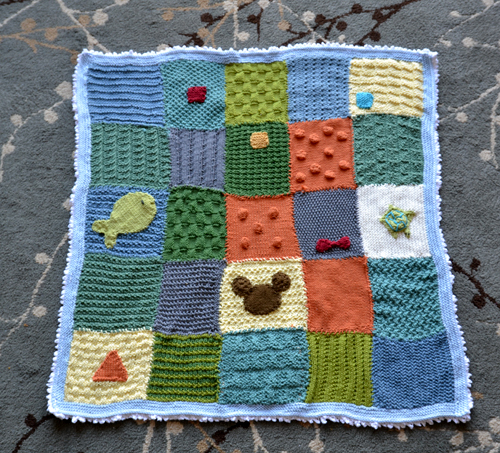 love the baby blanket! just reminded me that I need to complete mine real soon!